I am finally on winter break from school. I hadn't forgotten about my blog here...but I guess I was kind of bored by my content. Instead of detailing my sorry list of all the projects I started and never finished, I think I will just post bits of my projects and favorite things and have fun with it. Last Christmas my brother Günter and his wife Beca bought me an awesome printer/scanner. Though I've printed millions of papers in the last 11 weeks, I have yet to use the scanner. I thought it would be fun if I posted "a picture a day" for as long as I can. I am currently working on an art project for a show sometime in the spring, and could use some motivation (like a pressing need to post a picture a day) to work on it and not just lay on my couch all break watching "Bones." So, there you have it-- another project (but I think this one will be fun). 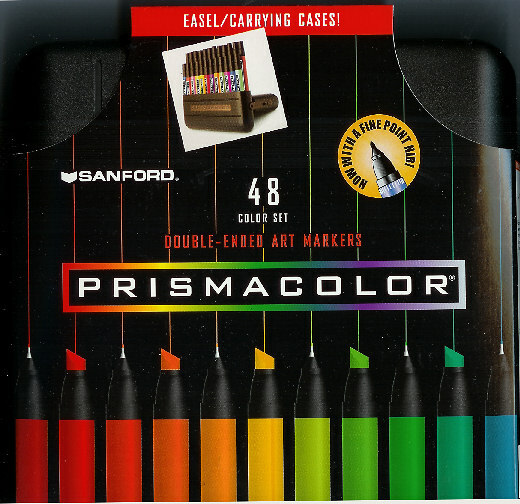 And it gives me a reason to buy some PrismaColor markers (of which an artist can never have too many.